Zynga has today announced the release of Words on Tour on iOS and Android devices. Created by the team behind Words with Friends, the game allows players to virtually travel the globe, solving level-based word puzzles across a variety of level types, in a style similar to Boggle (or Zynga's Scramble with Friends). 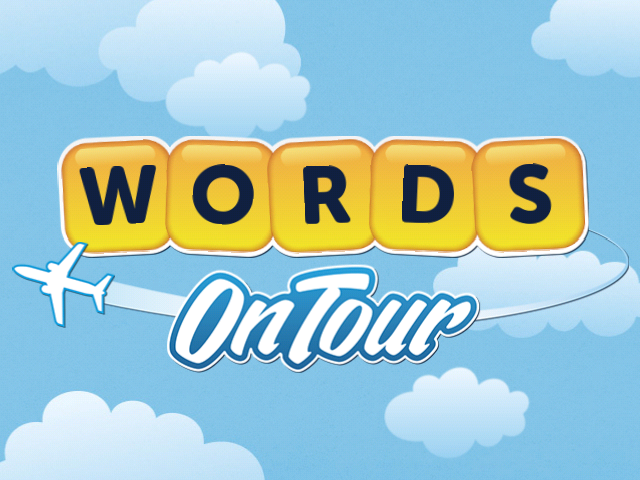 Zynga has today announced the release of Words on Tour on iOS and Android devices. Created by the team behind Words with Friends, the game allows players to virtually travel the globe, solving level-based word puzzles across a variety of level types, in a style similar to Boggle (or Zynga’s Scramble with Friends). Levels in Words on Tour come in multiple varieties, from those simply asking players to clear a large number of tiles without running out of moves, to those requiring them to reveal a hidden phrase by removing specific letters from the board. In this case, the phrases relate to the player’s current in-game geographical location (like Paris or London), and may see them clearing the right letter tiles to form the phrases “Wool Beret” or “Eiffel Tower,” as examples. Other levels ask players to “catch the bus” by clearing obstacles and navigating a path toward a bus somewhere on the board. One final level type asks players to collect passport stamps by creating words with the letters on top of them. Levels become more complicated as players progress, introducing additional obstacles like stone tiles, which are removed by making matches next to them. For every 10 letter tiles players clear from the board, a power-up tile is added. When these special letters are used in a later word, they may clear a whole row, column or diagonal line of letters from the board, with these extra cleared tiles counting for any corresponding level goal. Players receive up to three stars on each level, depending on their final score. Gamers can login with Facebook to compare their scores with others on level-specific leaderboards. Users also have access to power-ups both before and during a stage. A hammer, for instance, can be used to clear any single tile from the board, while a tile swapper allows users to swap the location of two letters, anywhere on the board, and so on. “Over the past five years, Words With Friends has engaged hundreds of millions of players around the world by creating an organic, online word culture fueled by player passion for word-play. As the first adjacent game for the Words With Friends franchise that features puzzles and progression gameplay, Words On Tour taps into our players’ love for smart competition while delivering the gameplay and features they’ve been asking for,” said Jonathan Knight, vice president of Games at Zynga, in a statement. Words on Tour is available to download for free on the iTunes App Store and Google Play. The game is also beginning its rollout on Facebook, allowing users to access their progress across the web and mobile versions of the game.